Some people prefer to use desktop clients for twitter ; local clients provide a better notification system, and it is always easy to access an application from system try, rather than locating your twitter browser tab every time you need to see/post updates. There are multiple desktop client apps available that can let you handle your twitter communication via system try, but Choqok is considered to be most stable and widely used. 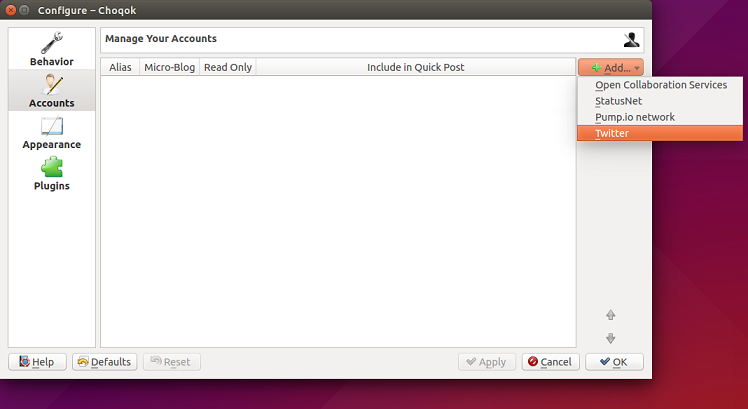 Let’s review its prominent features and installation steps on Ubuntu. Built using QT libraries, it works flawlessly on both GNOME and KDE desktop environments. We tested it on unity as well and its performing stable there. Multi tab feature to easily switch between tabs and manage your social networking. Easy to retweet, reply or mark tweet as favorite with mouse hovering. Customize color scheme for various available features. Two ways to post a tweet, using embedded text box and using “Quick Post” option. Built-in URL shortner and also lets you view the complete URLs when hovering your mouse over any tiny URL. The functionality of this tool is extensible with the help of plugins, install plugins and customize Choqok to your liking. In order to install Choqok on ubuntu, launch your terminal and run following command to add its PPA to package manager. Run following command to update your package manager repositories. 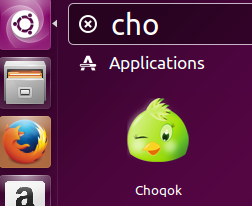 Now run following command to install Choqok. That’s it, as soon as installation is complete, launch it from Application menu. Click Setting >> Configure choqok to add your twitter account to this app. Once configure window is open, click “Add” drop down and choose “Twitter” from there. That’s it, on next step provide your twitter logins and you are all ready to use this app for your tweets.